On Saturday, December 16, join Alex Conison—PhD from the University of Michigan on the Ancient Roman wine trade and current Brand Manager of Josh Cellars, one of America's premium wine brands—and curators Peter van Alfen, Gilles Bransbourg, Lucia Carbone, and David Hendin for the December “Wine & Coins” Money Talks. One of the foremost components of the nectar that the Olympians drank to preserve their immortality, wine was sacred to the ancient Greeks and associated, through Dionysus (Bacchus for the Romans), with theater and poetry. Wine plays a major ritual role in Judaism as well, with grapes, vines, and amphoras being represented at different stages of Jewish ancient coinage, to the extent that Greeks and Romans believed Jews had a cult of Dionysus. 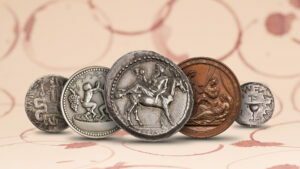 In the modern period, wine and grapes have resurfaced mostly on tokens designed to promote wine brands. Coins of Greece, the Attalids, Rome, Judaea, and modern tokens from France, the US, and Britain will be presented alongside a selection of wines linked to these locations and their ancient winemaking traditions. This event with Wine Tasting is $100 for Members and Non-Members $125. Without Wine Tasting: Members $50, Non-Members $75. Space is limited. Please RSVP to Emma Pratte at membership@numismatics.org. 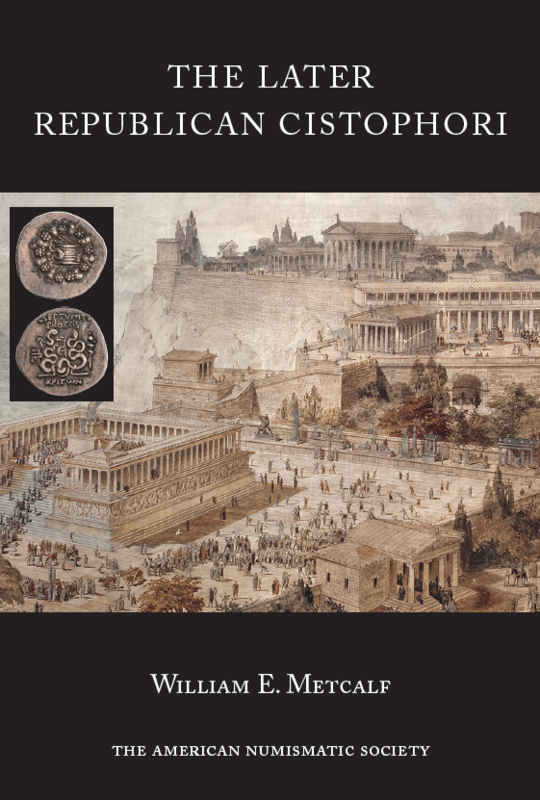 On December 6 at 5:30 the ANS will be hosting a book launch and reception for The Later Republican Cistophori by Dr. William Metcalf. This event is free, and books will be available for signing for the special price of $40. The book catalogs and illustrates some 523 cistophori and fractions from the mints of Ephesus, Pergamum, Tralles, and Apameia, as well as the “ATPA” series and related issues. 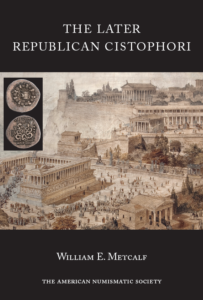 A detailed commentary discusses the Roman magistrates and the Greek signers of their coinages as well as the metrology and fineness of the cistophori. This work also includes cistophori from the collection of Richard B. Witschonke. Next year’s Gala will take place on January 11, 2018, at the Harvard Club of New York City in honor of the Rosen family. Check our website for tickets, advertising, and more information on the Honorees. The ANS would like to thank Stanley DeForest Scott for his donation of 43 beautiful American medals that were auctioned at Stack’s Bowers Galleries' November 2017 Official Auction of the Whitman Coin and Collectibles Winter Expo. The sale raised a significant amount of money for the Society’s Campaign to Endow the Chair of the Executive Director. 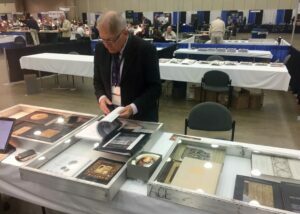 Visit the Stack Bowers website to see the realized auction results. 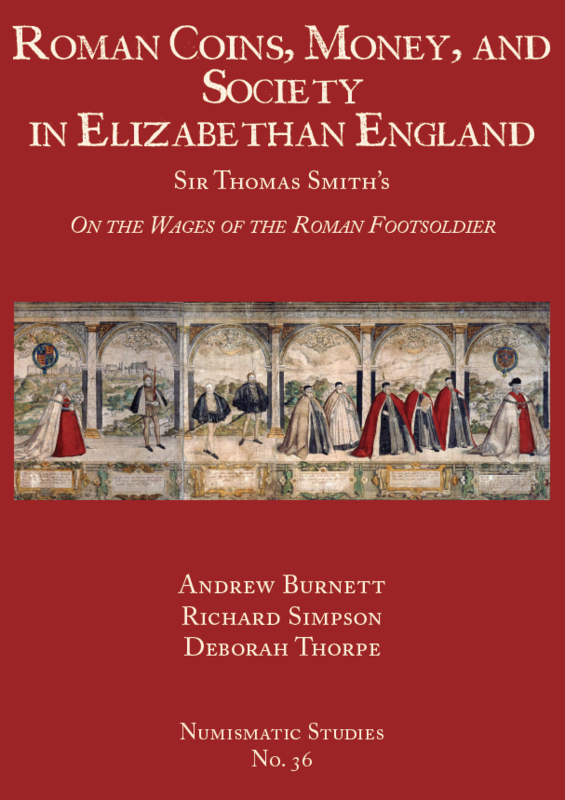 Roman Coins, Money, and Society in Elizabethan England by Richard Simpson, Andrew Burnett, and Deborah Thorpe launched on November 1, and is now available for purchase. 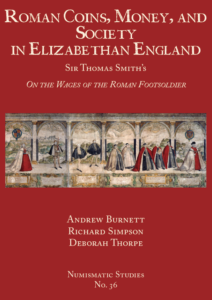 It publishes the full transcript of Sir Thomas Smith’s On the Wages of the Roman Footsoldier, which has been a virtually unknown work to modern scholarship and, although it is the first original work written in England to use the evidence of ancient coins, it has previously played no part in the history of numismatics. The book throws new light on the “Cambridge circle,” the group of academics-turned-politicians who played a crucial role in the smooth accession of Elizabeth I. It is accompanied by a biography by Richard Simpson to remedy some of the misconceptions about Smith, and to set OWRF and his other writings in a biographical framework. The Year-End appeal is now on! 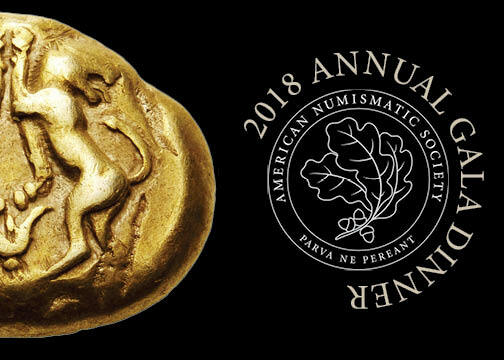 Please make a 100% tax-deductible gift to help the ANS continue advancing and promoting the study, research, and appreciation of numismatics. The Society has made great progress so far this year but we need your help to finish the year on a strong note. Thank you to all of our members and friends who have already donated to this appeal. We are deeply grateful. 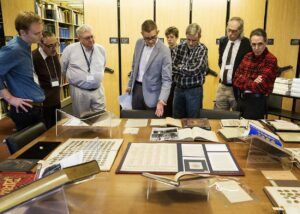 On Saturday November 18, Jonathan Kagan, collector of rare numismatic books for the last 40 years, and David Hill, Francis D. Campbell Librarian and ANS Archivist, held the November “Numismatic Book Collecting” Money Talks. 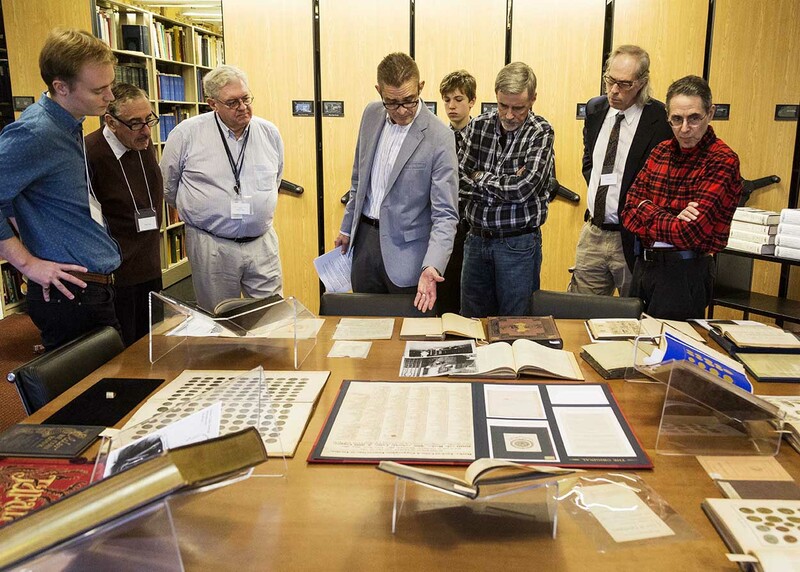 They discussed the notion of collectible books and manuscripts and considered their place in private and public collections in the age of the Internet. Executive Director Ute Wartenberg, Associate Curator Gilles Bransbourg, and Membership Assistant Emma Pratte represented the ANS at the 2017 Baltimore Winter Expo from November 9–11. They offered a number of books including the upcoming A Monetary History of Central America by Brian Stickney, and the newest ANS publications: Roman Coins, Money, and Society in Elizabethan England and The Later Republican Cistophori. A special thanks to ANS Fellow Ray Williams for all of his help! 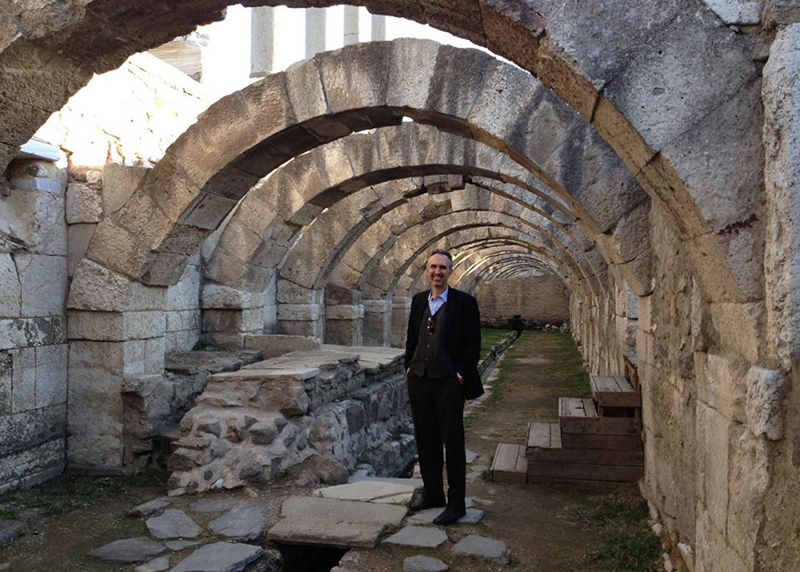 From November 1–2, Curator Dr. Peter van Alfen attended the International Symposium on the Port Cities of the Aegean World: Coins, Seals and Weights, in Turkey where he presented a paper entitled “The Archaic Coinages of Phokaia and the Limits of Cooperation.” He also presented a paper for Assistant Curator, Dr. Lucia Carbone, who was not able to attend, entitled “An Unpublished Cistophoric Hoard and the Cistophoric Production of the Provincia Asia in the 2nd Century BC.” In between conference sessions, which took place in both İzmir (on November 1) at Dokuz Eylül Üniversitesi and in Manisa (on November 2) at Celal Bayar Üniversitesi, Dr. van Alfen took time, along with former ANS Summer Seminar Visting Scholar and Huntington Award Medal recipient, Dr. Michel Amandry, to explore local museums and ruins, including the famed agora in Izmir. 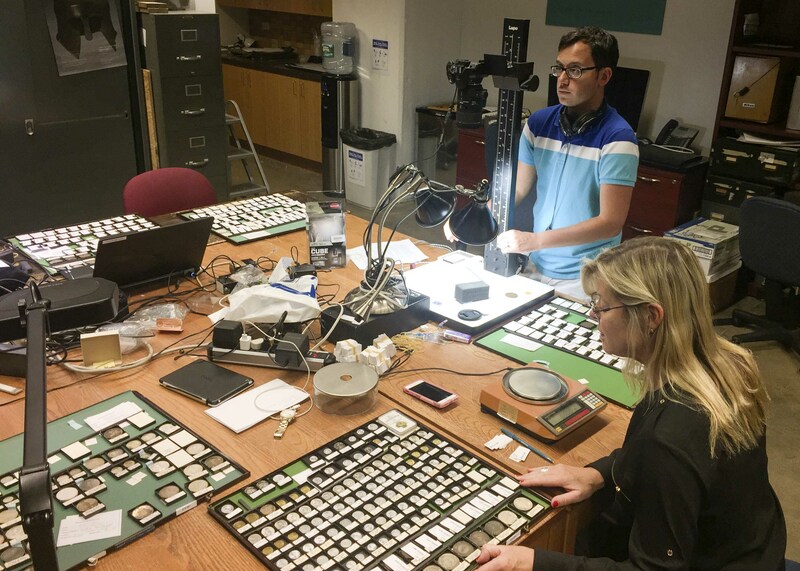 At the beginning of November the NGC Ancients Certified Collectibles Group visited the ANS and photographed over 3,400 struck Chinese coins. 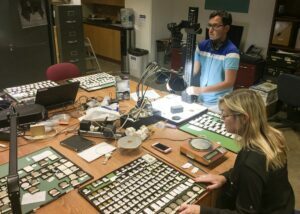 Soon high-resolution digital images will be uploaded to the Society’s online database to supplement the East Asian collection of our coin cabinet.